Hello Everyone!!! My name is Dana, but I am "scrappingirl" around most of digiland!! I love doing most kinds of crafts...I like to sew simple things (I hate being frustrated, so it has to be simple) and still doing paper crafts!! I love reading and I LOVE LOVE LOVE to play softball. A summer isn't complete without a season or two on a softball team! I love to travel and be with my family! My very favorite kit of Meagan's is The Simple Life. I love the soft blues and yellows and the elements in this kit are fantastic!! I love how versatile it is, too! I really love to travel, but I am not much of a world traveler...although I would really like to be...One of the favorite places I have visited is New York City. I went on this trip when I was a senior in high school. 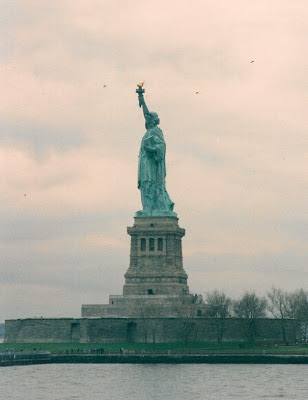 My mom and I went together and we visited New York and also Boston. It was SO much fun and I loved seeing all of the sites and the history surrounding it all! One of the hardest things I have ever done in my life is being a mom, but the best thing I have ever done in my life is being a mom!! I can't think of anything in my life that I would rather do and my kids and family is the one thing I could not live without! As far as dreams, are concerned, I feel that for the most part, I am living my dream...I have a beautiful family and I honestly couldn't ask for anything else! Have a fantastic day and Happy Scrapping! !